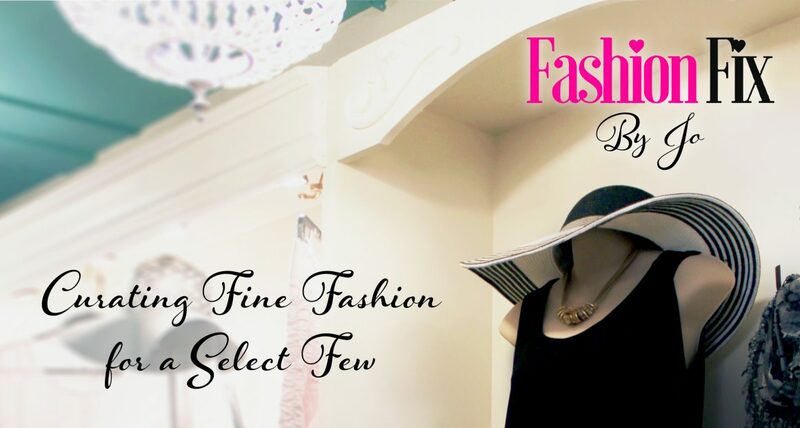 Hi, my name is Jo Young, owner of FashionFix Boutique! I am a fashion stylist/buyer who travels the apparel markets around the country, shopping for beautiful, one of a kind women’s clothing & accessories to offer in the boutique. This exclusive shopping experience that is by appointment only. So, whether you are looking for a total fashion make-over or just need a few items to update your current wardrobe, you are sure to find something here! Schedule your own private shopping experience and get your style on. Personal shopping and/or styling at its finest! Sip and shop as beverage service is included. Your choice of wine, coffee or tea. This is a free service with purchase. Private shopping experience with styling tips and advice offered for you and one or two friends. Beverage service is included. Choose wine, coffee or tea for you and your guests. This is a free service with purchases. Reserve the boutique for you and four or more friends. This service comes with a 20% hostess discount, for the girl who arranges the party, providing three or more girlfriends make a purchase. Beverage service is included. Choose wine, coffee or tea for your party. Learn what and what to wear for your specific body type, the colors that are best suited for you and how to avoid the pit falls and fashion faux pas that go with your fashion personality. You will leave with a style prescription and color chart of your best colors.